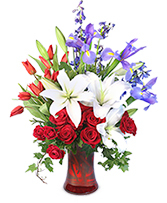 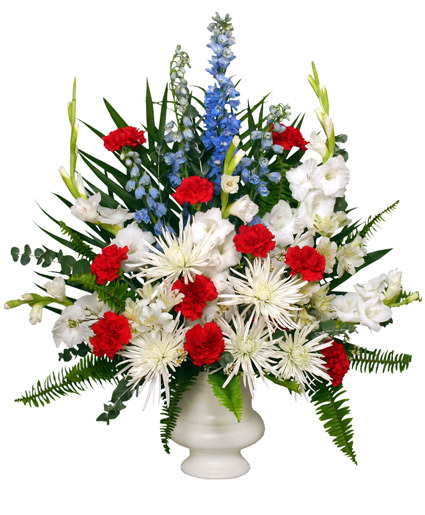 PATRIOTIC MEMORIAL Funeral Flowers in Atascadero, CA - ARLYNE'S FLOWERS & ETC. 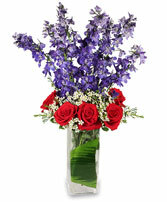 Atascadero FLORIST - ARLYNE'S FLOWERS & ETC. 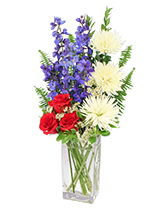 Order within 5 hours 2 minutes for Same Day Delivery!